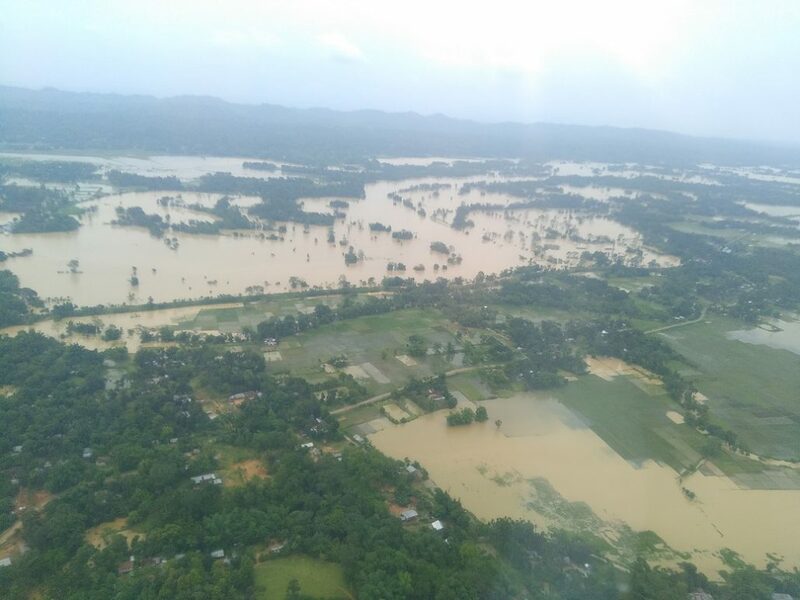 Incessant rains continue to lash Tripura even as the flood situation worsened in the State on Thursday with more and more landslides reported from several parts of the State. Out of eight districts, four – Unakoti, Dhalai, Khowai and South Tripura districts are the worst affected. As per latest reports, 6054 families have been affected and 180 relief camps opened by the State Government in seven districts of Unakoti, North Tripura, Dhalai, Khowai, West Tripura, Gomati and South Tripura. Four deaths due to flood have been reported during the last 48 hours. While two deaths have been reported in Belonia sub-division and an equal number have taken place in Khowai sub-division. 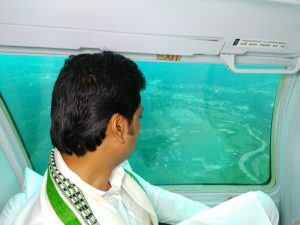 Tripura Chief Minister Biplab Kumar Deb took stock of the flood relief work being undertaken in one of the most affected areas, Kailshahar in Unakoti District on Wednesday. Deb undertook an aerial survey of various areas in the district before reaching Dharmanagar from where he reached Kailashahar by road. The Chief Minister visited a flood relief camp at Netaji Vidyaniketan in Kailashahar and assured the inmates of all possible assistance from the State as well as central agencies undertaking relief work. Deb also spoke over telephone with Union Home Minister Rajnath Singh and updated him about the flood scenario in the State and sought for Army’s help beside additional NDRF. The Home Minister, it is learnt, has assured all help. The Chief Minister has requested all to be patient and stay united along with the administration to overcome the temporary crisis due to natural calamity. He also announced an ex-gratia payment of Rs five lakh (Rs one lakh from Chief Minister Relief Fund and Rs four lakh from State Disaster Relief Fund (SDRF)) for the kin of deceased. of Unakoti, North Tripura, Dhalai, Khowai, West Tripura, Gomati and South Tripura. In Unakoti district, the Manu river is flowing above the danger level at 25.65 metre crossing the extreme danger level of 24.5 mtr and danger level 24.00 mtr due to which major places have been inundated with areas like Jalai, Chaintail, West Kaulikura, Kailashahar, Indira Colony, Fatikroy, Pecharthal, Kumarghat being severely affected. Landslips have taken place at various locations along the National Highway 8 and in the district. Ninety relief camps have been opened and 2207 families have taken shelter. Meanwhile, in North Tripura district all three sub-divisions have been affected. 617 families have taken shelter in 10 relief camps and district administration is extending due relief. Similarly in Dhalai district also, all five sub-divisions have been affected. Longtrai Valley sub-division has been affected the most. Eight landslides occurred at several places on national and state highways and hampered the movement of the traffic. District administration mobilized equipment from line departments for clearing the blockade roads.